After an injury, many women and men want to remain as active as possible while they heal and recover. Gregory Trakhtenberg, MPT & Dmitry Shestakovsky, DPT at Midtown East Physical Therapy in New York City, are certified in the Kinesio Taping® Method -- a rehabilitative technique that facilitates your body’s own healing process while allowing you to maintain range of motion with support and stability to the affected muscles and joints. If you have an injury and would like to learn more about the Kinesio Taping Method, call one of the offices in Brooklyn or Midtown or schedule an appointment online. The Kinesio Taping Method is a therapeutic taping technique that promotes your body’s natural ability to heal while you recover from an injury. The special rehabilitative tape allows for range of motion in the injured area while still providing stability and support to your muscles and joints. The Kinesio tape also provides extended benefits from soft tissue manipulation after you’ve received physical therapy. The providers at Midtown East Physical Therapy are certified in the Kinesio Taping Method, so they understand how to customize the taping of your injury to ensure the proper support your musculoskeletal system needs during recovery from an injury. What are the benefits of the Kinesio Taping Method? Kinesio Taping uses Kinesio® Tex Tape, a special tape that is the same thickness as your skin. The Tex Tape is durable so it stays in place for days, and it’s extremely flexible so it moves comfortably with your body while still providing the support you need to heal. Kinesio taping facilitates lymph and blood circulation in the applied area to aid in healing. How is the Kinesio tape applied? 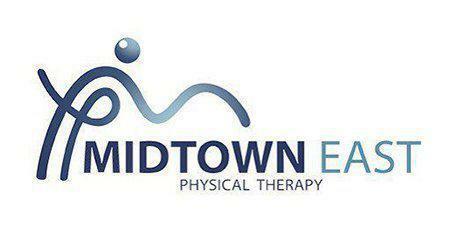 The providers at Midtown East Physical Therapy are certified providers of the Kinesio Taping Method, so have received special training in the technique. Drs. Trakhtenberg and Shestakovsky expertly apply the Kinesio tape to your injured area while your muscles are in a stretched position. The tape covers your muscles from end to end to give you maximum support as the injured area of your body heals. Your provider massages the tape after it’s applied to activate the heat-sensitive glue, so it easily adheres to your skin without irritation. If you have a sports injury, and you’re looking for maximum range of motion while your body heals, you may benefit from Kinesio Taping. Call one of the offices in Midtown or Brooklyn or schedule the next available appointment using the online booking system.